I like old things. Old buildings, old guitars, old amps. I’m not completely sure why, but I know that these things speak to me. In a very simple way, they remind me that life has been happening long before I was here, and will carry on long after I’m gone. I don’t think I’m worthy to start the story, but feel honored to be apart of it. See, I am a musician and have a “recording studio”. I use quotes, because its not like what you think a studio would be. 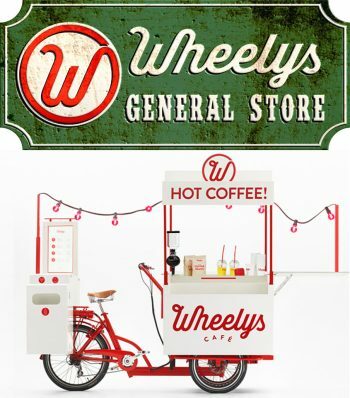 It’s not a shiny, state-of -the-art place with gold records on the walls. No, my studio is a workspace. It’s vibey, dark and comfortable. It’s a mixture of 30 year old microphones and macbook pro’s. It’s a place an artist can forget what time it is, and dive into their work. 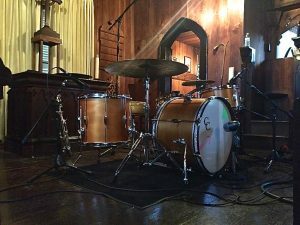 For the past year, I have been recording in the best sounding room I have ever been in. 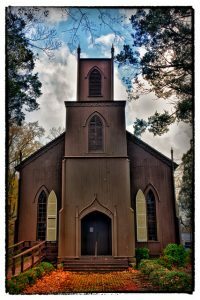 I have been given the opportunity to use an old church that’s located in Talbotton, Georgia. 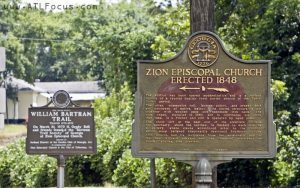 Zion Episcopal Church was founded in the 1840’s and has only been modernized by the addition of running water and electricity. What this place lacks in modern comforts, it makes up for with its’ atmosphere. As Mr. Bob Dylan once said, “You can’t buy feel“. 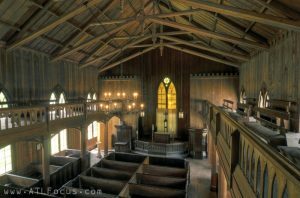 Walking into this church is like taking a step back in time, along with all the past souls and energy. It is all wood (mostly hand finished), original glass, floors, walls, and ceiling. These unique places don’t really exist anymore. Most have been lost to fires, neglect, modernization, and renovation; but Zion is all there, in it’s original glory. 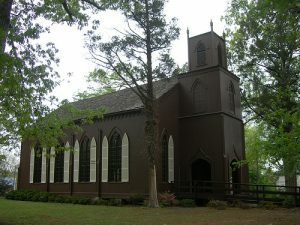 I love Zion Episcopal Church; it encourages people to play music together, and the church acoustics sound unbelievable. It is the kind of place where you feel the spirit trying to connect with you. 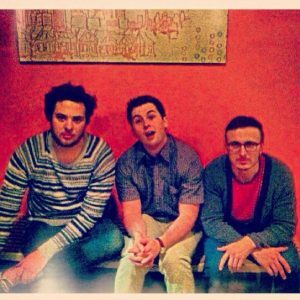 So, when the chance to work on American Roommates new EP came up, the first thing we did was check out Zion. 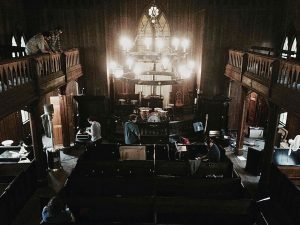 Every single artist and/or band that I’ve shown this church to has recorded in it, and AR was no different. 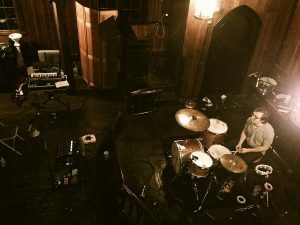 When working with bands at Zion, the idea of normal studio procedures (mostly) go out the window immediately, and it is so refreshing for everyone involved. You can feel the live synergy. It’s exciting, and everyone wants in on the experience. It seems the time has come back around to music being created by people playing together at the same time, creating something that is more than the sum of their parts, and creating art again. 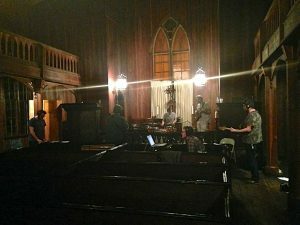 In the time between deciding to work at Zion and getting started, I had doubts about how the sound of the church would lend itself to the indie rock sound of American Roommates. 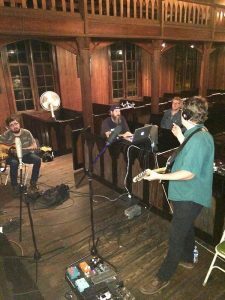 At that point, I had only worked with blues/folk/americana music in the church (and they sounded great). 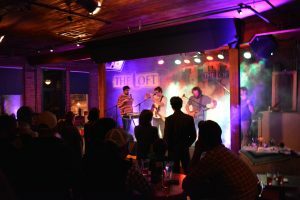 However, it was an amazing fit, since American Roommates have such a powerful energy at their live performances, and we were able to capture their eclectic sound. 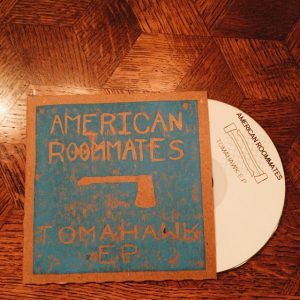 It is obvious that the Roommates lent themselves to the spirit of the old church, while letting it speak to them and through them, on their latest EP, “Tomahawk”. I’ve had the privilege to work with AR off and on over the past few years. I’ve been able to watch them develop and grow into something genuinely special, and they excel at connecting with people. with members changing instruments, and having the original bass player return. 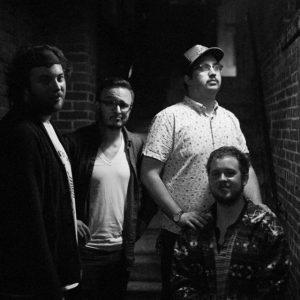 This growth has allowed the band to expand their musical palette and create lush, interesting soundscapes. The Roommates did their homework. They were prepared, and took advantage of their time there. They knocked the recording out in one day! It was almost like a gig. They just came in and owned it. 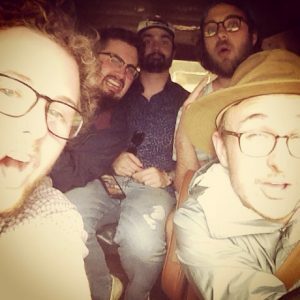 We only did a few takes of each song. What you hear on the record is a performance. Each song was played a particular way, that day. For those who may not know, this is unusual, most bands record their parts individually. One of the unexpected things, is that there was no reverb added during the mix. All of the ambience you hear is the sound of the space, even on vocals. If you listen closely when Will, or TJ sings loud, you can hear their voice open up, that is the room mics picking up their voice. That’s the sound and echo of them singing in the church. So, hear it for yourself. 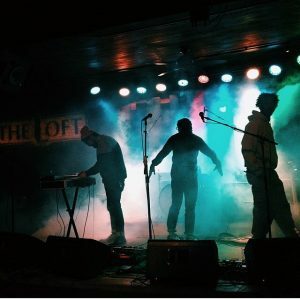 American Roommates Tomahawk EP release party is this Saturday at The Loft, with a popular Athens, progressive, electro rock band, Sumilan, opening at 9:00pm. You will be able to purchase hand-pressed, hard copies of the EP at their live show, or find them on Spotify, iTunes and Google Play. 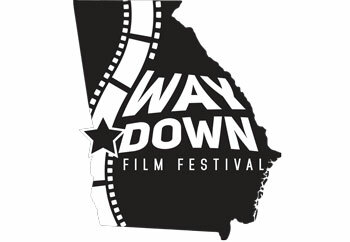 Written by Dean Castile, who is an engineer and producer that owns and operates Document Studio in Manchester, GA. He was a founding member of the band Cornbread with Keni Thomas. 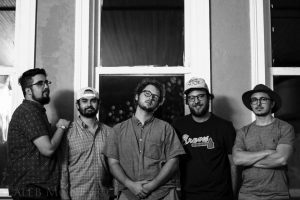 He has worked in the studio with such artists as Neal Lucas, Marshall Ruffin, Corky Jones of Allgood, The Newcomers, Garrett Lee, Jim Cole and Allen Levi. He has worked live with Bela Fleck, Bebo Norman, Katy Perry, David Crowder Band, Andrew Peterson, Pierce Pettis, and Sandra McCracken.